Every week, Link Love introduces you to a blogger whose recipes made us hungry. 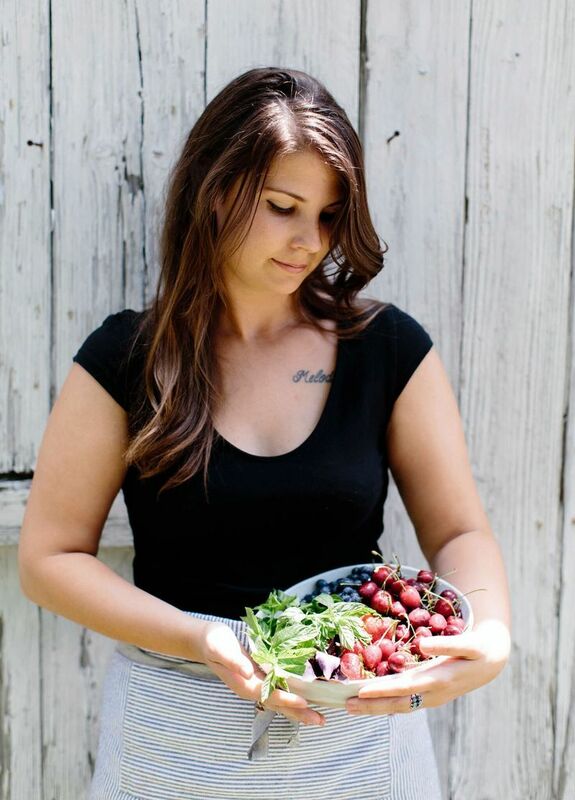 Meet Shelly Westerhausen, the blogger behind Vegetarian 'Ventures. After becoming a vegetarian an early age, Shelly had to find ways to feed herself well in her meat-loving German family in the Midwestern U.S. She channels those efforts into her blog, where she features seasonal vegetarian dishes (like this recipe for Cherry Mint Polenta Bruschetta) and baked goods andshares tips for transitioning into vegetarianism. I started blogging in the summer of 2011 as a creative outlet for my kitchen adventures. As a vegetarian, I was constantly getting asked, "What do you eat if you don't eat meat?" So I decided to build Vegetarian 'Ventures as a resource to point those confused meat-eaters to and for anyone looking to incorporate less meat into their diets. A big aspect that inspired me to begin cooking in the first place is that I've lived most of my life in smaller Midwestern cities that just don't always have the best vegetarian options. 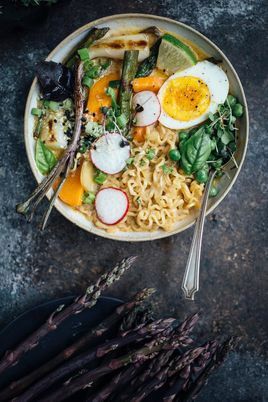 I am constantly finding something intriguing [with meat] on menus and oftentimes go home and make myself a meat-free version in my own kitchen to share on VV. 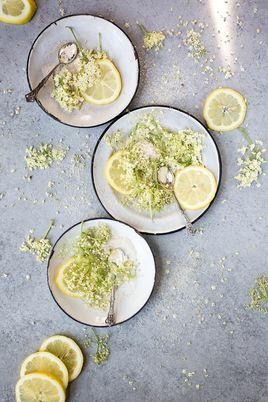 To decide what recipe I am going to develop for the blog next, I will pick an ingredient and design a recipe around it or I'll find something inspiring on a menu and try to create a vegetarian version. I have a notebook that I carry around at all times to write down inspiration that I will reference when brainstorming a recipe. I go through such phases with ingredients. I tend to sneak pistachios into almost any baked good and have been really obsessed with cherries this summer. Within the past year, I've also gone through phases with smoked paprika, black sesame seeds, and pink peppercorns. 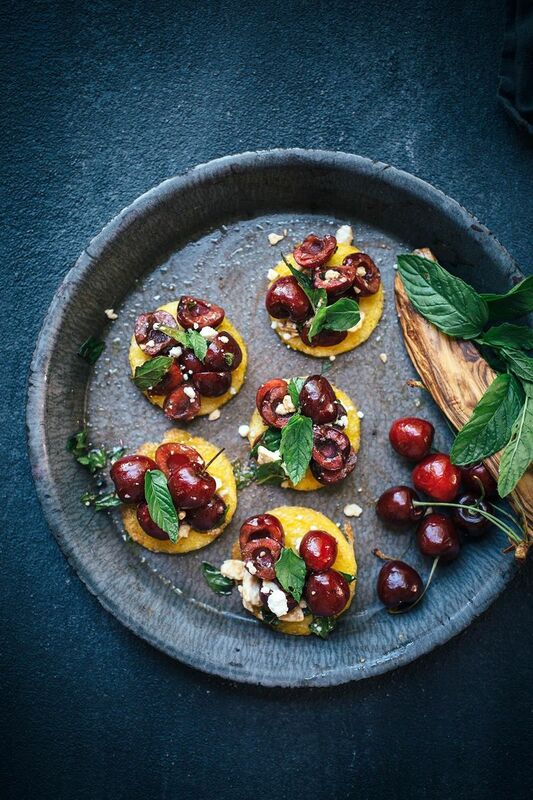 This Cherry Mint Polenta Bruschetta is such a delicious, yet simple appetizer. I was trying to figure out a seasonal appetizer to bring to a Fourth of July party and was really craving tomato bruschetta, but my tomatoes in the garden hadn't ripened yet. I went to the market to pick up some juicy tomatoes but ran into these gorgeous cherries instead. 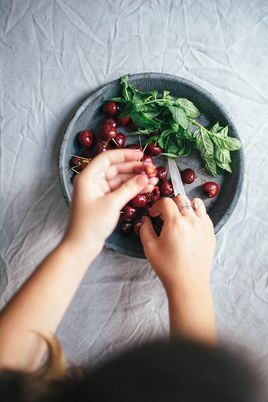 My mint plant is going crazy, so I knew I wanted to add mint to the cherries and basically just built the appetizer around those two ingredients. 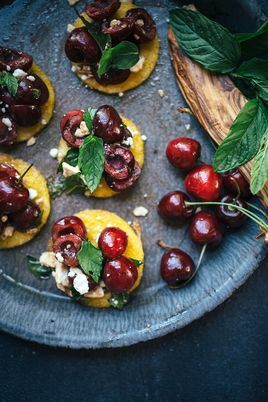 I put the cherries on polenta rounds because I love using baked polenta instead of crackers, as it gives a chewier texture and doesn't break after a bite or two. 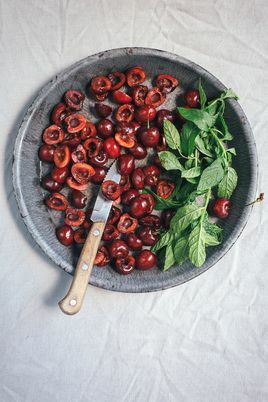 And the cherries I used were slightly tart, so they paired perfectly with a little honey, salty feta, and fresh mint. Shelly's blog is Vegetarian Ventures. 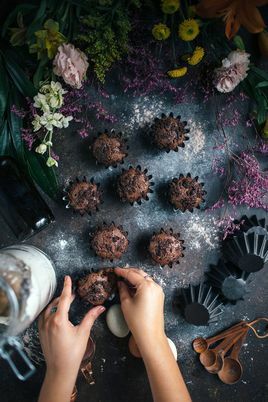 What food blogs did you love this week?